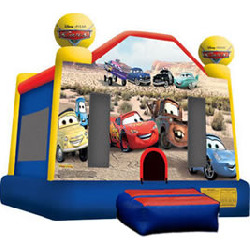 Join Lightning McQueen, Mater and the gang of Radiator Springs as you bounce your way across the finish line of fun. This licensed unit will provide hours of exercise and fun. Larger bounce house.